Presently, it is not necessary to purchase gaming consoles to play your favorite games. Suffice it to install a reliable emulator to start playing directly from your Windows computer. MAME (Multiple Arcade Machine Emulator) is one of the most efficient modern software allowing you to run such legendary games as Pong, Asteroids, and Galaxians on an old good PC. 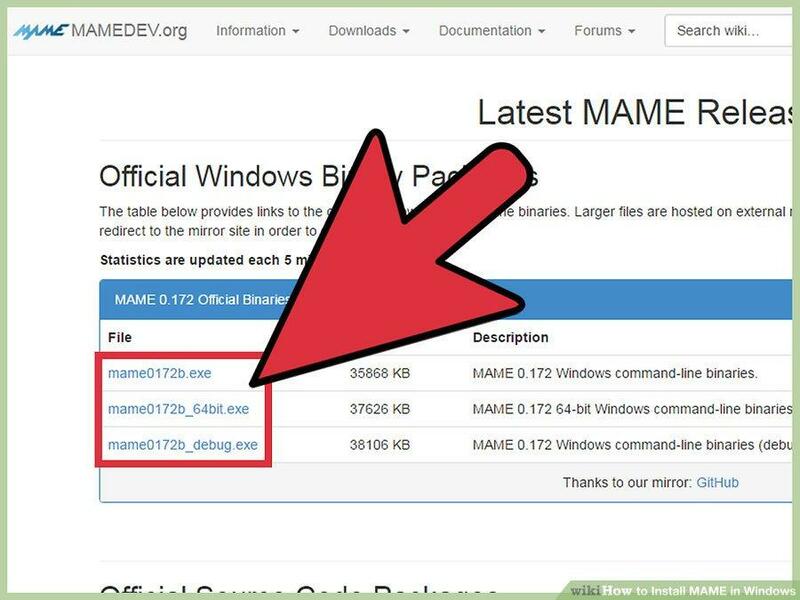 To install and use MAME, you will be required to download some software from the developers’ official website. Just Google for MAME and you will be provided with a link to the appropriate website. To start using the program, you will need MAME ROMs download, as well. First, you will need to go to MAME’s official website. On its release page you will find updates and latest releases of the emulator. Search for the latest link suitable for your operation system. In our case, it is Windows. Click on this link and get the file that must be in exe format saved to your desktop. You next step involves getting double-clicking on the downloaded file to extract its content. Please, note that the file is self-extracting, which means that you will be required to select or create a folder where you intend to store the emulator. Once you are done, choose the option to create a new “MAME” folder. That will be place where all the necessary contents including previously downloaded ROMs will be stored. MAME’s mission is to help you play various arcade and console games, which means that you will need to look for the ROMs you want to play via the emulator. There is a list of the ROMs approved for distribution, which can be found on the official website. Frankly speaking, the options are quite scarce. Nevertheless, those who want to get the games legally and don’t strive to play some certain games are encouraged to avail themselves of the approved ROMs. Finding ROMs for the games that are not included in the aforementioned list can be quite a time-consuming process, since developers prefer not to provide users with ROMs of the games that are other companies’ property. Nevertheless, some users choose to search for them on the Web and download the games they are interested in. In case you want to follow their example, try to use only reliable websites not to get malware downloaded. Please, be informed that downloading ROMs from any other sources and sites that are not directly affiliated with MAME is considered illegal in most jurisdictions. Therefore, you can download ROMs from the third party websites only at your own risk. Once you download the ROMs, extract the files to the “roms” folder, which was created when you first extracted the content of the downloaded exe file. After that, hold down the “Shift” button and right-click on the emulator’s folder. The next option you will need to select is “Open Command Window Here.” Yes, you will need to use Command Prompt to launch MAME. 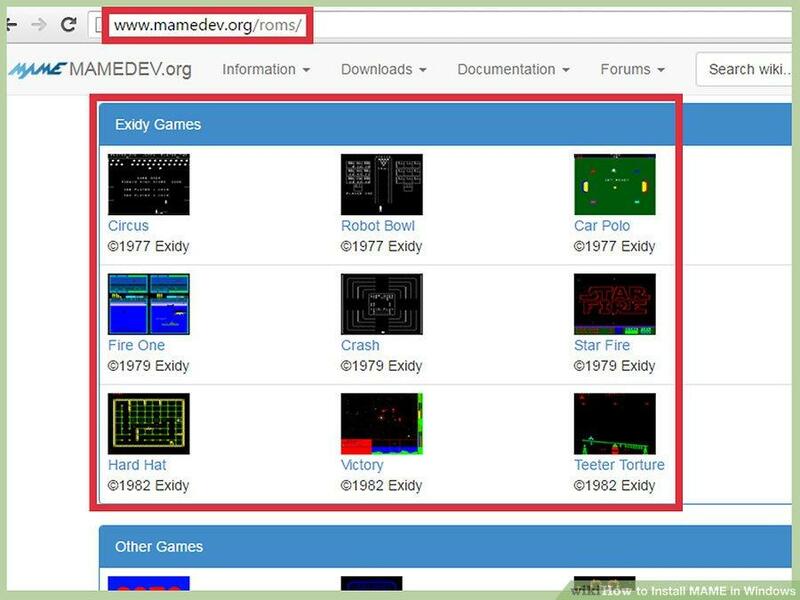 Type “mame,” then add a space and indicate the game name you want to use. For instance, if you have downloaded the game “Pong”, type “mame pong”. Press “Enter,” then. The game should start and display on-screen. You will be able to pick the necessary keys to control the game. Just push “Tab” and head to the opened configuration menu. Incorporate all the necessary changes and start playing.